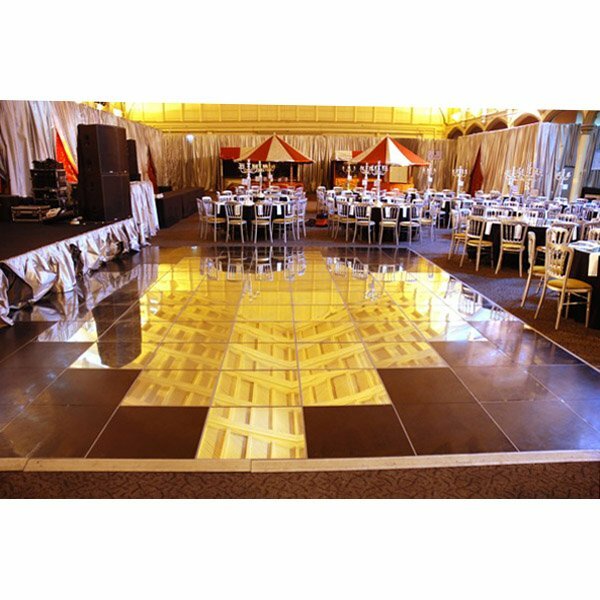 Dancefloor size will depend on customer requirements (room size, no of guests etc. )Please call sales office for tailored quote. 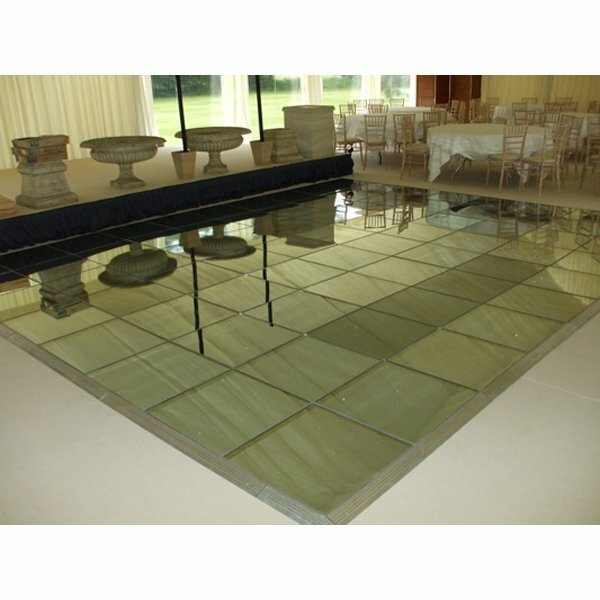 This elegant floor is made from hardened Glass with a mirror finish, can be used on its own or looks very effective when used with either Black and White floors. 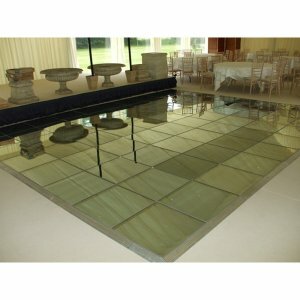 The floor simply locks together on installation and makes an ideal hire product.